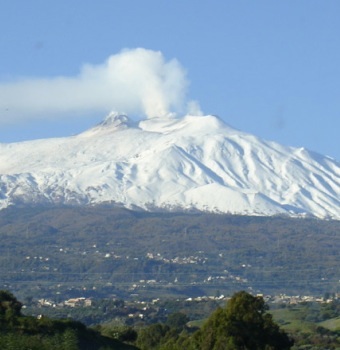 The volcanic region of Etna in Sicily has the potential to become Italy’s answer to Burgundy, according to one of the region’s top producers. “Our native red grape Nerello Mascalese has very similar characteristics to Pinot Noir, but with the rusticity of Barolo,” Giuseppe Benanti of Azenda Agricola Benanti said. Albiera Antinori, vice president of famed Tuscan producer Antinori, believes Etna could be Italy’s next great wine region. “Etna is a special place. Once you taste a Nerello Mascalese you know exactly where it’s from,” she said. Benanti sees the region’s local grapes as key to helping Etna stand out in a wine market increasingly populated by international varieties: “Making wine with international varieties is boring, today you have to be different. Meanwhile, Antinori feels Italy needs to cling to its indigenous grapes, saying: “It’s important for us to develop our local varieties in Italy wherever we can. “In the future, lots of countries are going to be producing great wines. What will be important is the fact that once you put your nose into a glass you can recognise where a wine comes from,” Antinori said. … Thanks to producers along the northern and eastern rim of Etna, we have seen an unprecedented shift in focus toward quality. Benanti is only one of many. Salvo Foti, Ciro Biondi, Frank Cornelissen, Alberto Graci, Anna Martens, the Murgo family, and Gurrida have all had significant hands in re-branding the Bel Paese and the South. Also worthy to mention the revival of the Palmenti – ancient press houses. As a sommelier instructor in Canada the idea of protecting the regional character of wines is a constant discussion in class. I’ve always leaned to the side of regions sticking to their indigenous varietals both from an interest point of view but also there is a certain long term business reality that being original and distinctive is more advantageous that being just another Merlot from somewhere in the world. At a recent wine competition I judged a Nerello Mascalese was awarded the prize as the top Italian wine — I’m sure it was its distinctive and unique perfume that made it stand out from the crowd for the judges (myself included) as something unique and interesting. Thanks to the producers of Etna for their efforts to modernize but not at the sake of losing their regional identity. The world needs more Nerello and other unique varietals rather than more ubiquitous Merlot or Shiraz.